An organic electroluminescent device with an encapsulation film formed by wet processing and a manufacturing method thereof. The organic electroluminescent device includes a laminate structure including an anode, an organic light emitting layer and a cathode sequentially disposed on a substrate, and an encapsulation film having a polymer layer made of a polymerization product of a vinyl monomer covering the laminate structure. In the method for manufacturing the organic electroluminescent device, a laminate structure including an anode, an organic light emitting layer and a cathode sequentially disposed is formed on a substrate. 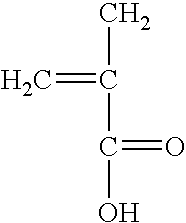 An organic solution containing a vinyl monomer and a polymerization initiator is coated on the laminate structure. A polymerization reaction is induced to the organic solution coated on the laminate structure, thereby forming an encapsulation film made of a polymer layer on the laminate structure. Further, the polymerization initiator may initiators utilizing an oxidation-reduction reaction selected from the group consisting of persulfate (K 2S2O8) and a redox initiator. According to the present invention, it is not necessary to separately prepare expensive equipment such as a vacuum chamber or a vacuum pump. Instead, an encapsulation film can be formed using a conventional low-cost vinyl monomer and a polymerization initiator by wet processing in which manufacturability and processing stability can be easily achieved. When forming the encapsulation film, an organic solution comprising a vinyl monomer, a polymerization initiator and an oligomer, is polymerized, thereby enhancing adhesion and hardness of the encapsulation film and denseness of an encapsulation film surface. Therefore, the life time of the organic electroluminescent device can be greatly extended. FIG. 3 is a graphical representation of a change in luminance of an organic electroluminescent device according to the present invention over time. Referring to FIG. 1, a transparent electrode  12 is formed on a substrate 10 made of a transparent glass or plastic material. The transparent electrode 12 is made of indium tin oxide (ITO). The transparent electrode 12 includes a first ITO electrode and a second ITO electrode formed at edges of the substrate 10 so as not to be overlapped the central portion on the substrate 10. Next, a hole injection layer 22 and a hole transport layer 24 are sequentially formed on the first ITO electrode of the transparent electrode 12. The hole injection layer 22 and the hole transport layer 24 are formed so as not to be overlapped with the second ITO electrode of the transparent electrode 12. Thereafter, tris-(8-hydroxyquinoline) aluminum (Alq3) is coated on the hole transport layer 24 by vacuum deposition to form a light emitting layer 26 and an electron transport layer 28. Subsequently, a metal, e.g., Al, or an alloy, e.g., LiF, is deposited on the light emitting layer 26 and electron transport layer 28 formed at the central portion of the substrate 10 and on parts of the second ITO electrode of the transparent electrode 12 formed at edges of the substrate 10, thereby forming a metal electrode 30 for a cathode. Next, in order to encapsulate an organic electroluminescent device having the laminate structure, the laminate structure having the metal electrode  30 is coated with an organic solution containing a vinyl monomer and a polymerization initiator. Here, the organic solution may be coated on the laminate structure by spin coating, bar coating, spreading or dipping. Further, in order to increase interface adhesion to the metal electrode  30 forming the organic electroluminescent device, hardness, chemical resistance and heat resistance to extend the life time, the organic solution may further include an oligomer having a molecular weight of 300˜3000. 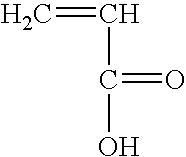 The oligomer may be selected from the group consisting of urethane acrylate oligomer, acrylate oligomer, ether acrylate oligomer and epoxy acrylate oligomer. 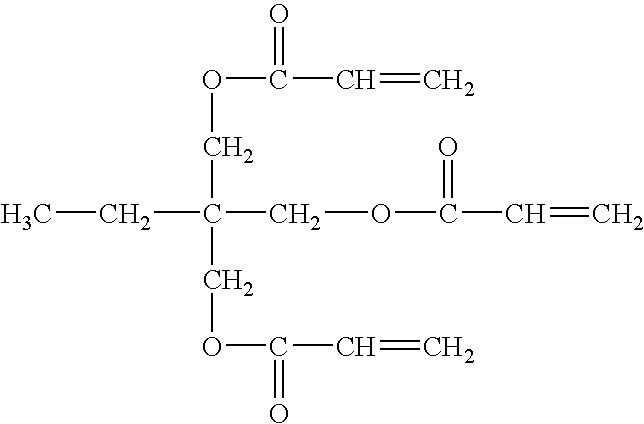 If needed, the oligomer may be contained in an amount of 0˜80 wt % based on the total weight of the organic solution. In order to form an encapsulation film on the laminate structure, the organic solution coated on the laminate structure is polymerized for form a polymer layer  40. Here, in order to induce polymerization of the organic solution, light may be irradiated into or heat may be applied to the organic solution, according to the polymerization initiator used. Usable examples of the polymerization initiator using an oxidation-reduction reaction in the present invention include persulfate (K 2S2O8) and a redox initiator. FIG. 2 is a cross-sectional view for illustrating a manufacturing method of an organic electroluminescent device according to a second embodiment of the present invention. In this embodiment, an encapsulation film including a polymer layer  140 and a moisture-absorbing layer 150 is formed on a laminate structure of an organic electroluminescent device, which will be described in more detail with reference to FIG. 2. In the same manner as shown in FIG. 1, a laminate structure having a transparent electrode 112, a hole injection layer 122, a hole transport layer 124, a light emitting layer 126, an electron transport layer 128 and a metal electrode 130, is formed on substrate 110. Thereafter, the laminate structure is coated with an organic solution containing a vinyl monomer and a polymerization initiator and polymerized to form a polymer layer 140. 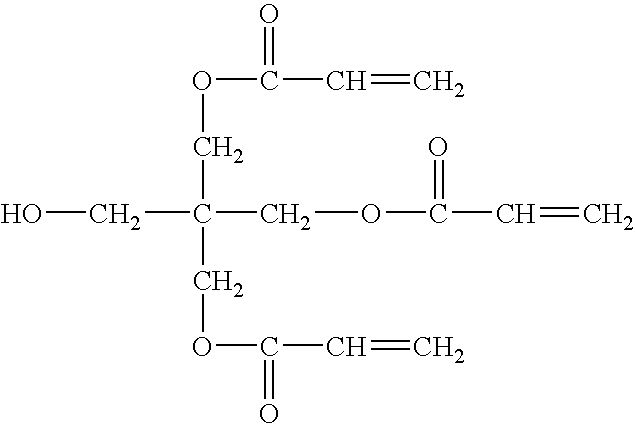 The polymer layer 140 can be formed by the same method as that of forming the polymer layer 40 shown in FIG. 1, with a proviso that no moisture absorbent is contained in the organic solution for forming the polymer layer 140 but a separate moisture-absorbing layer 150 is formed on the polymer layer 140. The moisture-absorbing layer 150 is formed for the purpose of absorbing moisture and oxygen in the air, and is made of a material selected from the group consisting of calcium, silica gel, zeolite and alkali metal. 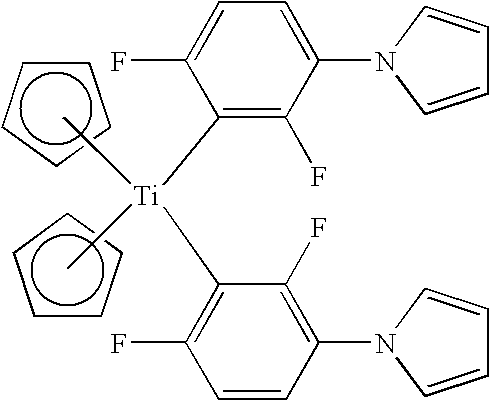 In order to form a laminate structure of the organic electroluminescent device shown in FIG. 1, an ITO electrode was formed on a glass substrate, a 30 nm thick 4,4′,4″-tris(N-3(3-methylphenyl)-N-phenylamino)triphenylamine (MTDATA) and a 30 nm thick N,N′-diphenyl-N,N′-bis(3-methylphenyl)-(1,1′-biphenyl)-4,4′-diamine (TPD) were sequentially formed thereon as a hole injection layer and a hole transport layer, respectively. Next, a 60 nm thick Alq 3 layer was vacuum-deposited to form a green light emitting layer. A 1 nm thick LiF layer and a 100 nm thick Al layer were vacuum-deposited on the light emitting layer to form a metal electrode for a cathode. an encapsulation film having a polymer layer made of a polymerization product of a vinyl monomer covering the laminate structure. 2. The organic electroluminescent device according to claim 1, wherein the polymer layer comprises a polymerization product of an acryl-based vinyl monomer, an aromatic vinyl monomer, acrylonitrile-based vinyl monomer, chloride-based vinyl monomer, vinylstearate or vinylpropionate. 3. 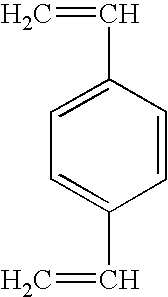 The organic electroluminescent device according to claim 2, wherein the acryl-based vinyl monomer includes one or more mixtures selected from the group consisting of triethylopropane triacrylate, tri(propylene glycol)diacrylate, penthaerithritol triacrylate, trimethylolpropane ethoxylate triacrylate, methyl methacrylate, methacrylate, tri(propylene glycol)glycerolate diacrylate and vinylacrylate. 4. 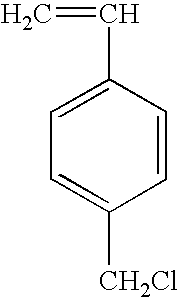 The organic electroluminescent device according to claim 2, wherein the aromatic vinyl monomer includes styrene and divinyl benzene. 5. 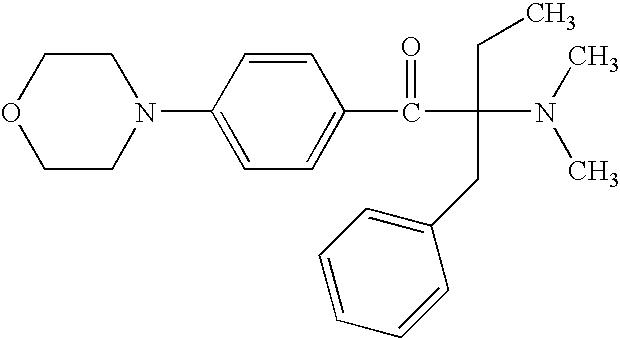 The organic electroluminescent device according to claim 2, wherein the chloride-based vinyl monomer includes vinylidene chloride and vinylbenzyl chloride. 6. The organic electroluminescent device according to claim 1, wherein the polymer layer further includes a polymerization product of an oligomer having a molecular weight of 300˜3000. 7. 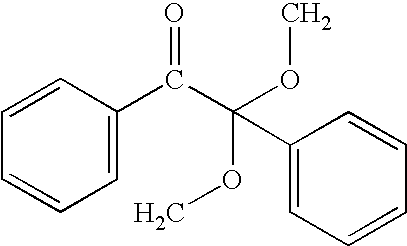 The organic electroluminescent device according to claim 6, wherein the oligomer is one or more mixtures selected from the group consisting of urethane acrylate oligomer, acrylate oligomer, ether acrylate oligomer and epoxy acrylate oligomer. 8. The organic electroluminescent device according to claim 1, wherein the polymer layer further includes a moisture absorbent for absorbing moisture and oxygen from the air. 9. The organic electroluminescent device according to claim 8, wherein the moisture absorbent includes calcium, silica gel, zeolite and alkali metal. 10. The organic electroluminescent device according to claim 1, wherein the encapsulation film comprises the polymer layer, and a moisture-absorbing layer formed on the polymer layer for absorbing moisture and oxygen from the air. inducing a polymerization reaction to the organic solution coated on the laminate structure, thereby forming an encapsulation film made of a polymer layer on the laminate structure. 12. The method according to claim 11, wherein the vinyl monomer is one or two mixtures selected from the group consisting of an acryl-based vinyl monomer, an aromatic vinyl monomer, an acrylonitrile-based vinyl monomer, a chloride-based vinyl monomer, vinylstearate and vinylpropionate. 13. 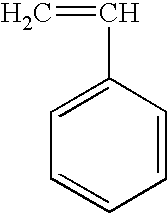 The method according to claim 11, wherein the polymerization initiator is a photo initiator, a thermal initiator or an initiator using an oxidation-reduction reaction. 14. 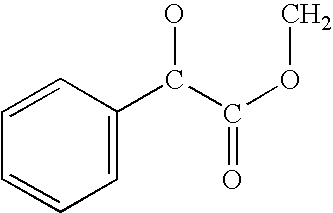 The method according to claim 11, wherein the polymerization initiator includes photo initiators selected from the group consisting of 1-hydroxy-cyclohexyl-phenyl-ketone (Irgacure 907), 2-methyl-1[4-(methylthio)phenyl]-2-morpholinopropane-1-one (Irgacure 184C), 1-hydroxy-2-methyl-1-phenyl-propane-1-one (Darocur 1173), a mixed initiator (Irgacure 500) of Irgacure 184C and benzophenone, a mixed initiator (Irgacure 1000) of Irgacure 184C and Irgacure 1173, 2-hydroxy-1-[4-(2-hydroxyethoxy)phenyl]-2-methyl-1propanone (Irgacure 2959), methylbenzoylformate (Darocure MBF), α,α-dimethoxy-α-phenylacetophenone (Irgacure 651), 2-benzyl-2-(dimethylamino)-1-[4-(4-morpholinyl)phenyl]-1-butanone (Irgacure 369), a mixed initiator (Irgacure 1300) of Irgacure 369 and Irgacure 651, diphenyl(2,4,6-trimethylbenzoyl)-phosphine oxide (Darocur TPO), a mixed initiator (Darocur 4265) of Darocur TPO and Darocur 1173, phosphine oxide, phenyl bis(2,4,6-trimethyl benzoyl) (Irgacure 819), a mixed initiator (Irgacure 2005) of Irgacure 819 and Darocur 1173, a mixed initiator (Irgacure 2010) of Irgacure 819 and Darocur 1173, and a mixed initiator (Irgacure 2020) of Irgacure 819 and Darocur 1173, bis(.eta.5-2,4-cyclopentadien-1-yl)bis[2,6-difluoro-3-1H-pyrrol-1-ylphenyl]titanium(Irgacure 784), and a mixed initiator (HSP 188) containing benzophenene. 15. 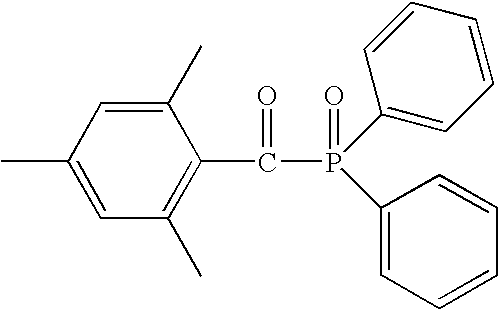 The method according to claim 11, wherein the polymerization initiator includes thermal initiators selected from the group consisting of benzoyl peroxide (BP), acetyl peroxide (AP), diauryl peroxide (DP), di-tert-butyl peroxide (t-BTP), cumyl hydroperoxide (CHP), hydrogen peroxide (HP), potassium peroxide (PP), 2,2′-azobisisobutyronitrile (AIBN), azocompound, and silver alkyls. 16. The method according to 11, wherein the polymerization initiator is a polymerization initiator using an oxidation-reduction reaction, selected from K2S2O8 and a redox initiator. 17. 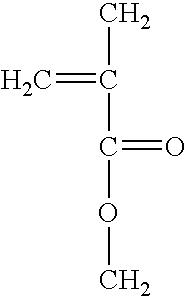 The method according to 11, wherein the organic solution further includes an oligomer having a molecular weight of 300˜3000. 18. The method according to 11, wherein coating the organic solution is performed by spin coating, bar coating, spreading or dipping. 19. The method according to 11, wherein in step of forming the encapsulation film, light is irradiated into the organic solution in order to induce a polymerization reaction to the organic solution. 20. The method according to 11, wherein heat is applied to the organic solution in order to induce a polymerization reaction to the organic solution. 21. The method according to 11, wherein the organic solution further includes a moisture absorbent selected from the group consisting of calcium, silica gel, zeolite and alkali metal. 22. The method according to 11, further comprising forming moisture-absorbing layer.